These plants do not require disbudding. 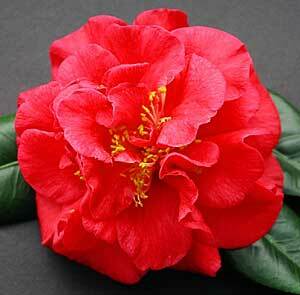 Camellias in this category are generally quick, open growers with a profuse flowering habit, small leaves and pendulous growth. There are, of course, some exceptions. When used in the garden they tend to soften the landscape and add a special touch. Cultural requirements are the same as for any Camellia and fertilising is best achieved, both in the ground and in the pot, by using Osmocote Plus®. Bogong Snow, Dwarf Transnokoensis, Fairy Wand, Sinensis, Sweet Jane, Tinsie, Wirlinga Bride. Our Melissa, Nitidissima, Tama-No-Ura, Yoimachi.